my little grey shadow is napping in a cardboard box, so it is mama kitty's (the calico one) turn to keep me company. she is stretched out next to me on the bed, demanding belly-rubbing while i am trying to type. which part of "i want to get this posted before midnight" does she not understand? so, as i mentioned last time, i ordered a couple patterns from a yarn shop in the UK, and i was eagerly awaiting their arrival to cast on my next project. 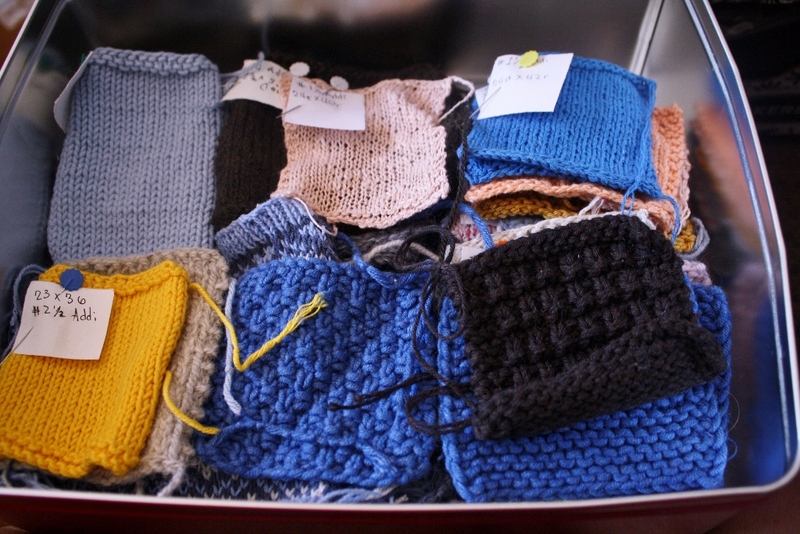 i was binge-watching videos on Knit Nottingham's You Tube channel (be warned, she is bawdy and has a potty mouth), when channel host/yarn shop owner, Eleanor, quickly held up a project she was working on for self. 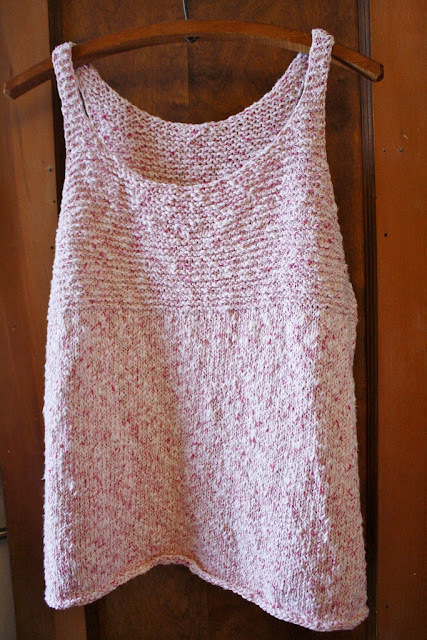 it was the perfect thing for my 'Summer of cottony knitting' insanity, so i contacted her in search of the name of the pattern. turns out it was discontinued, but she had a few paper copies in stock. not wanting to waste her time for a single leaflet, i added another pattern (for the navy blue lacy item pictured below) to the order. one Pay Pal transaction later, and both patterns were on their way. all i had to do was wait. i do not do patience very well, either with other people, or (most especially) with myself. i was in the zone. 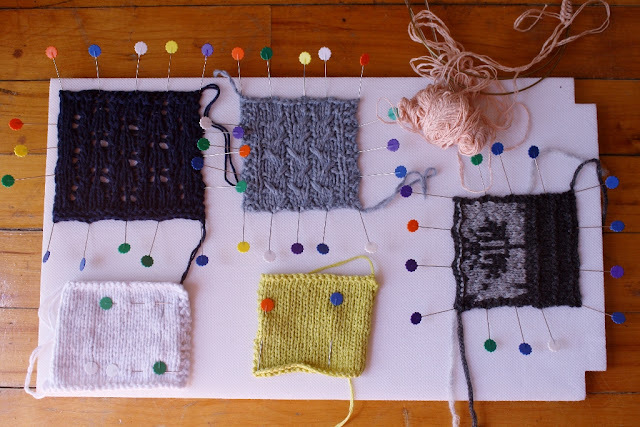 i wanted to knit all the things. one quick stash-dive later, and i had a bag of pink and white yarn, the same stuff i promised myself i would turn into a cardi at some point last year. this is why you should never make promises... especially to yourself. i had just gotten through watching Amy Herzog's online class about modifying sweaters for a custom fit (i will save the first-world-problems rant about being a curvy girl is a straight-figure universe for some other day). 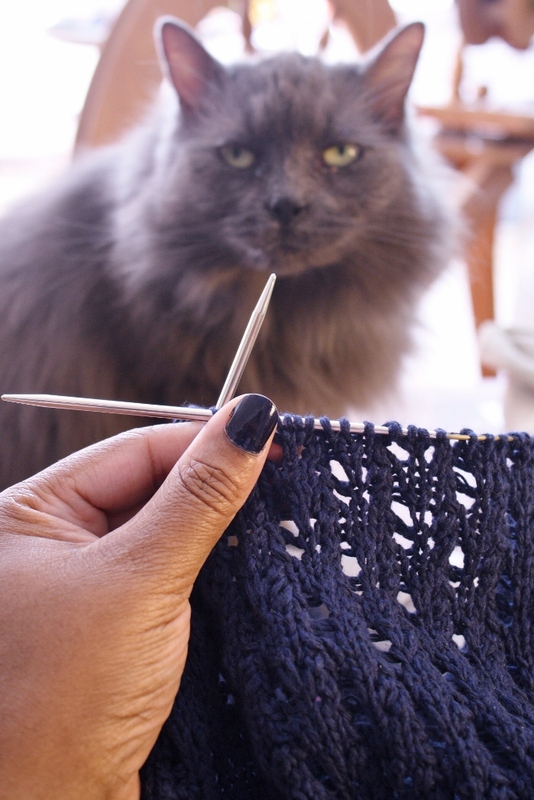 i wanted to test out her approach to sizing, so i started said cardi... then left it sitting in a bag... in the depths of my stash... until that day when i needed a quick-fix. so, what was supposed to be an educational cardigan, ended up as a distraction tank top. 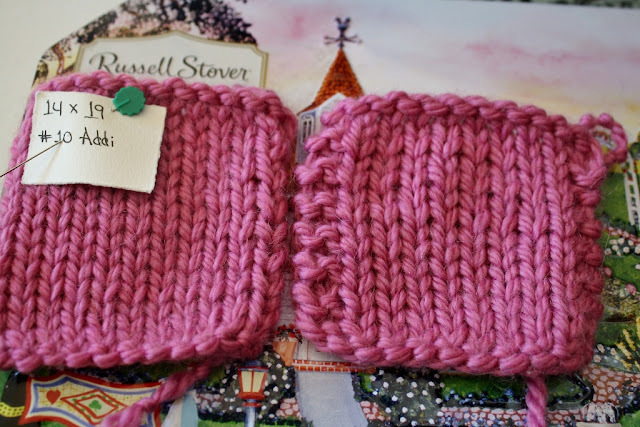 the pattern is Aster (by Dawn Catanzaro). there is a subtle bit of shaping in the body of the garment, which causes it to lay in a very flattering manner along the curve of the lower back, so it is not just another tent-like, boxy top. i will definitely be making a few more of these in the future. 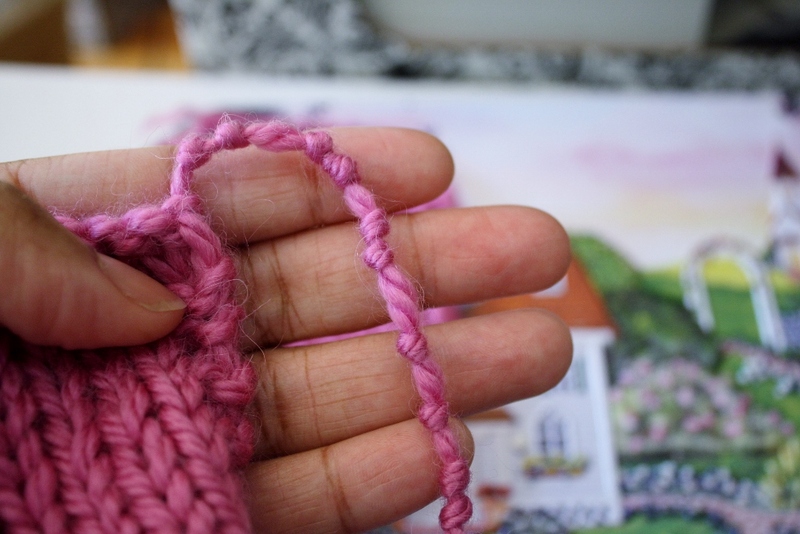 i had forgotten how rough this yarn was on my hands. this was supposed to be finished in a week (or less) of evening knit-while-watching-stuff time. 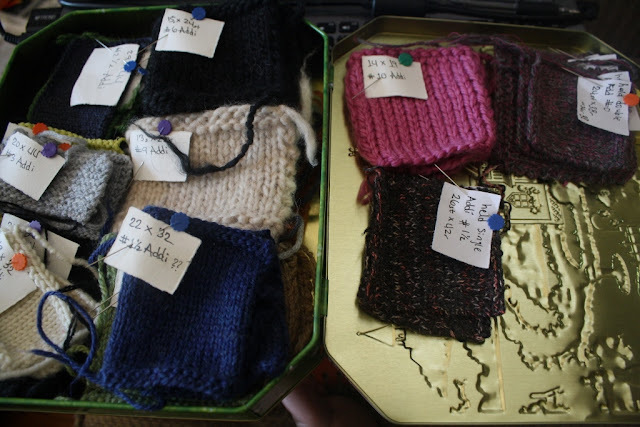 it ended up taking five weeks, as i had to give my hands time to recover in-between working with such nubbly yarn. 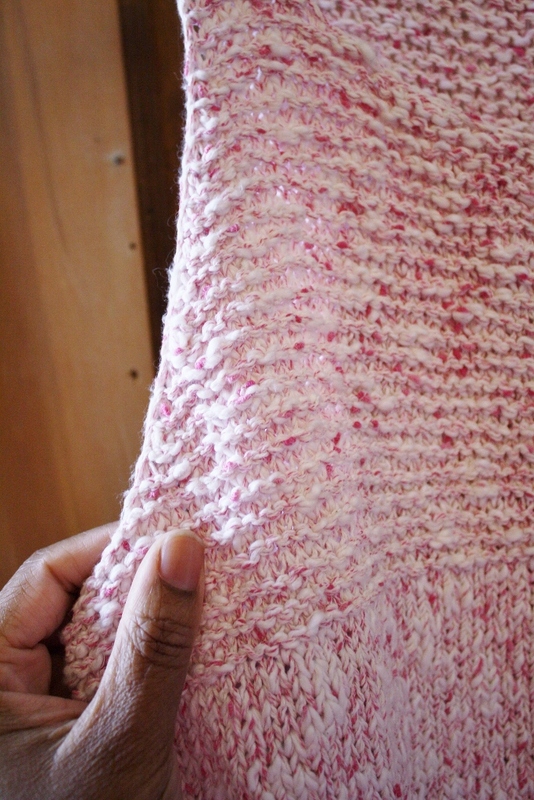 that being said, i do love the texture of the end product, and i am keeping an eye out for the perfect pattern to use up the rest of that yarn... although there is always the possibility it may end up being tossed on the bbq grill as an offering to whatever gods are responsible for such torturous things. unless i point it out. no worries. it is an easy fix, which i will get around to doing... some day. 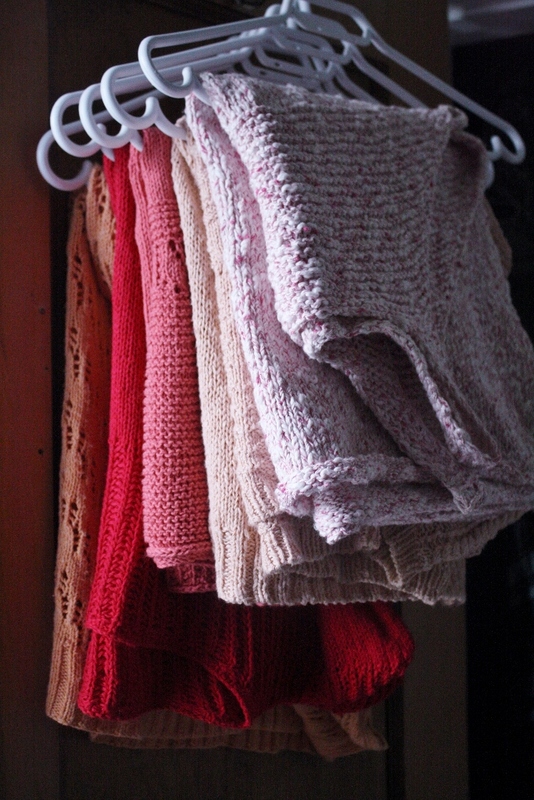 so, there i was, admiring all of my Summer knits, when it dawned on me: they look great hanging together by my closet door... but am i ever going to wear any of these things? yes, i enjoyed making all of those items, and i really am quite proud of myself for turning out so many projects in one season... if you do not count the three years i took to finish that one top. so, while i was pleased to see my stash being put to good use, that was still a whole lot of pink, and i am still not into pink. i was so traumatized by this realization, that i grabbed one of my UK patterns and went diving again through the stash for something that was a bit more me. i am still convincing myself that it was pure coincidence that my nails happened to also be navy blue. 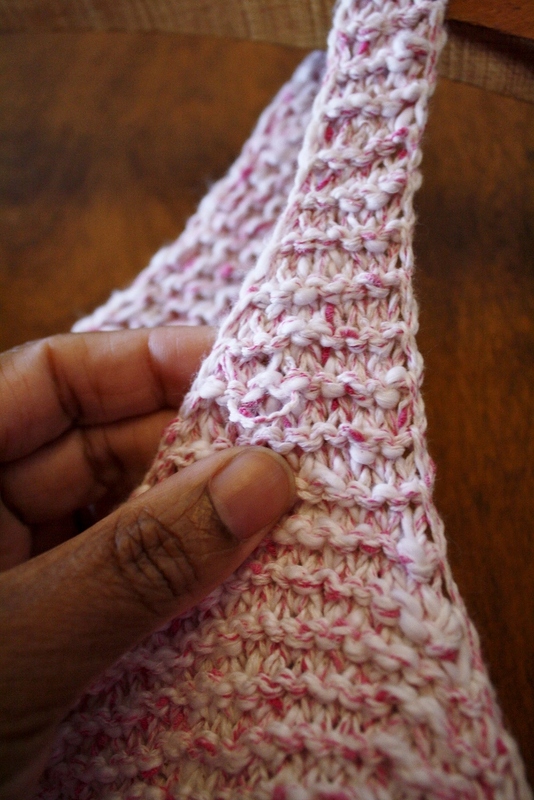 i am loving that pretty lace fabric. my fluffy grey shadow approves. 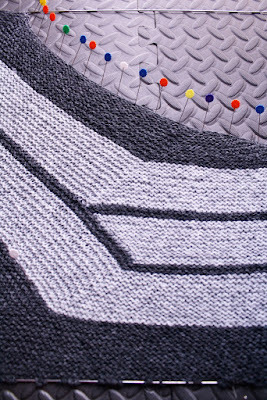 speaking of grey, i recently completed this thing, which is already my new fave knitted item ever. i will talk more about that one next time. it is wonder-ful, trust me! 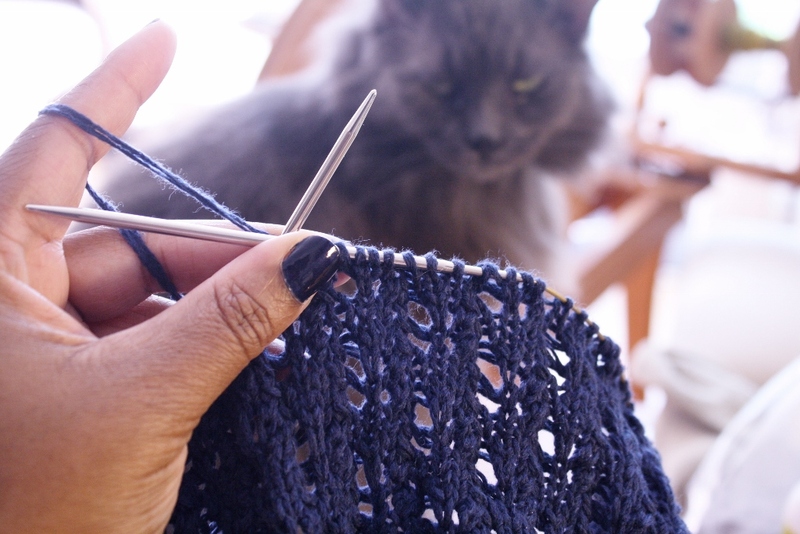 taking a forced-break from knitting is kind of like being between projects. 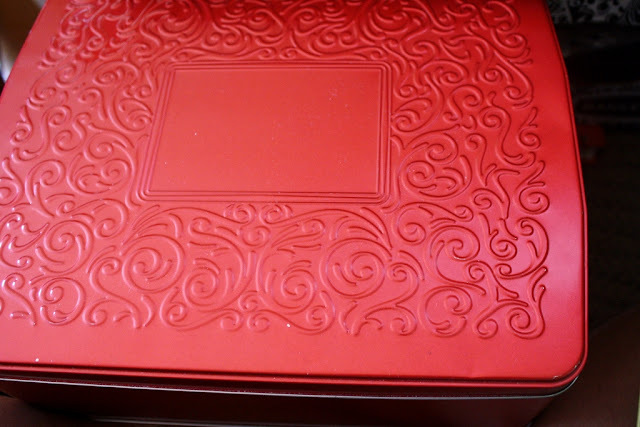 i get restless, so i usually use that time to rummage through the hundreds of swatches living in colorful containers throughout our home. they are reminders of projects past, and inspiration for project to come. 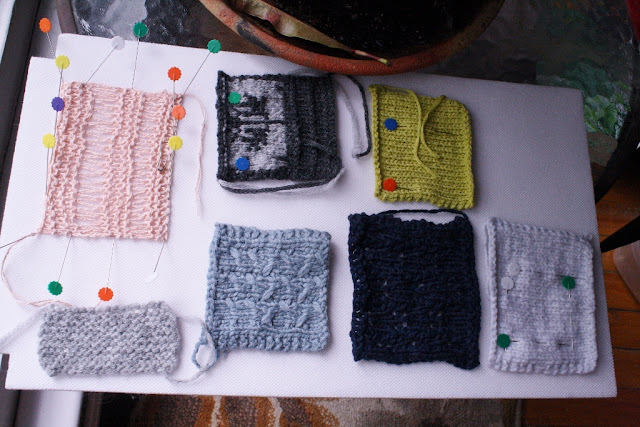 i usually knit up a swatch when i get a new yarn, or before starting a new project, and i always take the time to wash and pin the swatches out while they dry. the navy blue yarn in the upper-left corner is the swatch for the navy blue sweater above. 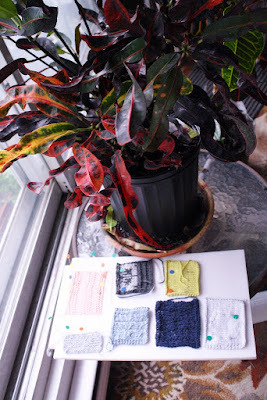 i have been known to carry swatches from one room to another, just to see how they look in different light. bonus points if you spot the grey kitty lurking in the shadows. the lacy swatch in the upper-left is an idea i was exploring for using up the light-salmon yarn leftover from the three years later top. maybe i will get around to that one for next Summer. 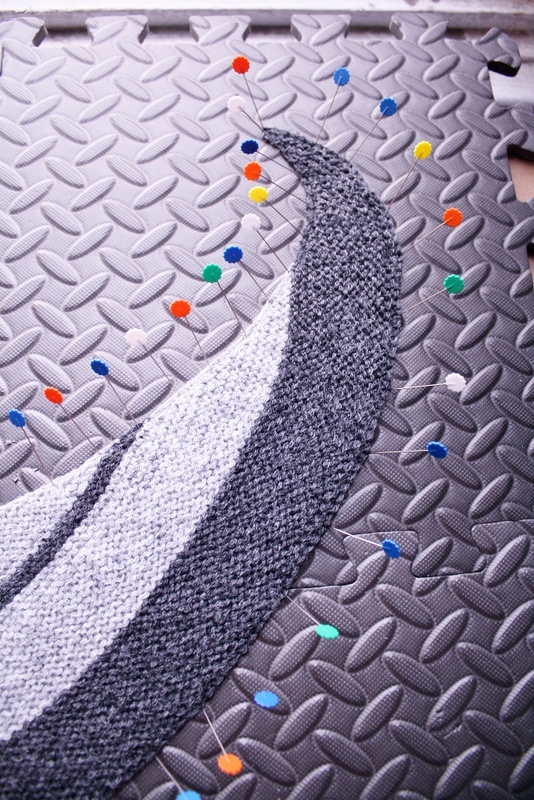 the tiny light-grey swatch on the lower-left corner is the grey item i plan to talk about tomorrow. size was not an issue with that one. i just wanted to make sure that the fabric would have the level of squishiness i desired for this project. yes, there is such a thing as too little or too much squish. 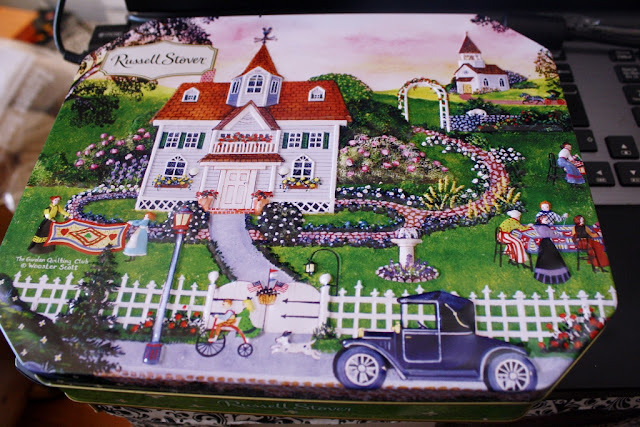 my favorite animator uses my swatches as a handy excuse for buying cookies and chocolates in decorative metal tins, which can later be put to use as storage spaces. 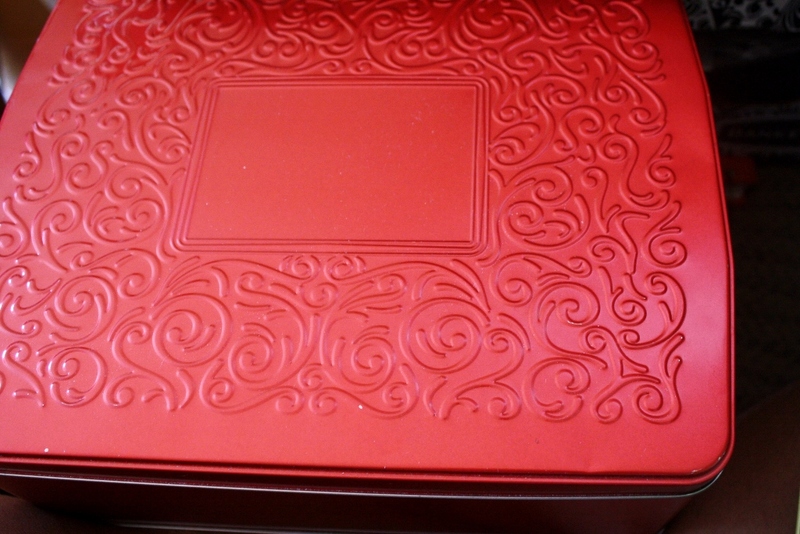 the red tin was from last year's Christmas cookies. it currently houses the (mostly cotton) swatches for yarns that would be ideal for summer wear, except that brown swatch, which is already earmarked for a specific project... one of these days. then there is this chocolate tin. it contains the swatches for yarns i hope to use in the coming cold months. i sometimes go overboard and swatch a few times, just to be sure. 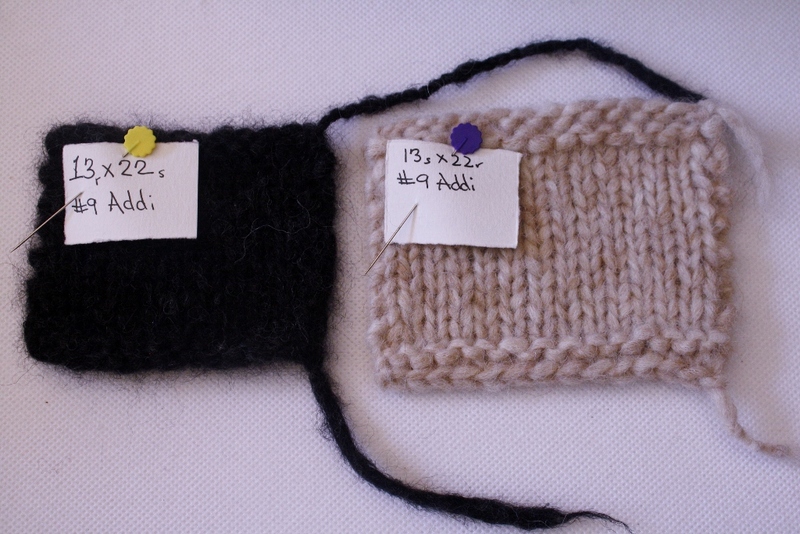 here you can see different swatches of the same yarns done on different sized needles, so that i can compare the resulting fabric. 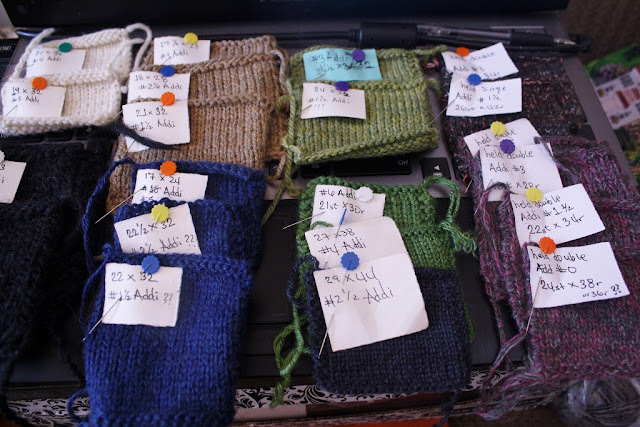 the green and navy blue swatches stacked together on the bottom row are the same yarn in different colors, because my brand of OCD demands such things. here i casted on the same number of stitches, and made swatches on three different sized needles. 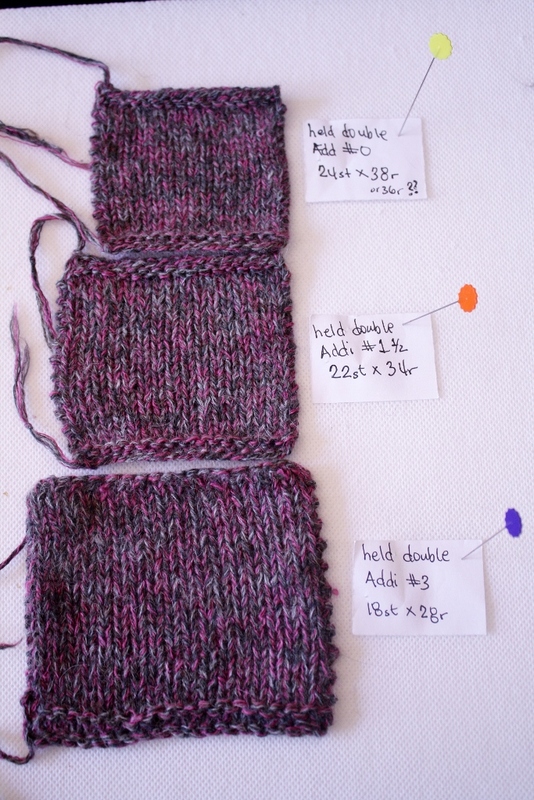 note the difference in width of the three swatches. multiplied across the width of a whole garment, you can end up with something that is too tight, fits perfectly, or that has room enough for company... unless you are into that sort of thing. this is a judgment-free zone. some knitters think it is wasted time, but swatching saves frustration. 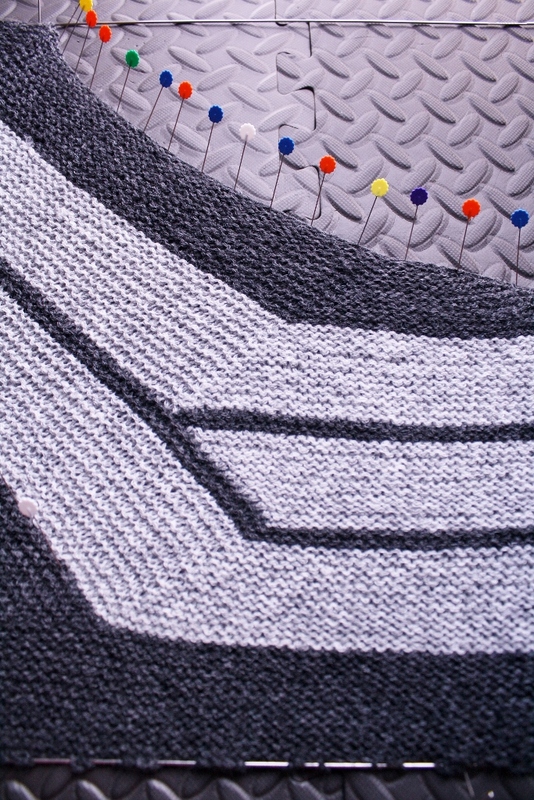 i originally intended to make my cabled cardi in a black yarn, but i had so much trouble seeing the individual stitches, that i knew it would be a nightmare for working such complicated cables. i kept the one ball of yarn i used for making the swatch, and took the remaining nineteen balls back to my local yarn shop, to be exchanged for the same yarn in a much lighter color. the alternative would have involved fire and twenty balls of burnt black yarn. you may notice the notes everywhere. 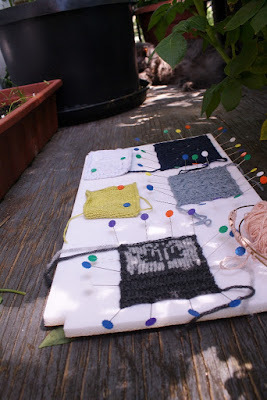 i measure a 2" x 2" (5cm x 5 cm) square on each swatch, count the stitches, then double those numbers and write it down for future reference as #stitches x #rows that would be in a 4" x 4" (10cm x 10cm) square. this is where i would need to break into basic math to explain why that matters, but just trust me when i say that it is important in determining the size of a finished item. i also note the size needle i used for the swatch, and i usually tie a series of knots in the tail end of the yarn to indicate the size of the needle, just in case i lose that piece of paper. 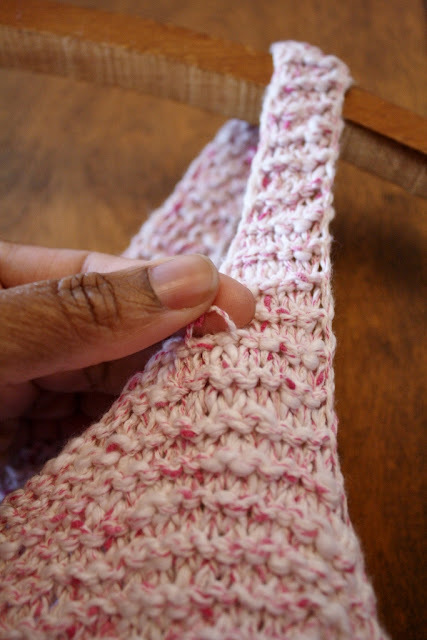 one can always remeasure the stitches, but the only way to remember needle size is to take good notes... or have a really good memory... or just count the knots! and, yes... some of those swatches are pink. clearly i have learned nothing from this Summer.